At Marlen, we understand that once a customer trusts us with their business, we have a duty to ensure that vote of confidence results in creating long-term value for their enterprise in terms of product quality, reliability and total cost of ownership. Our focus on OEM genuine parts is just one of many ways Marlen works to bring “out of the ordinary” value to the relationship with our customers. 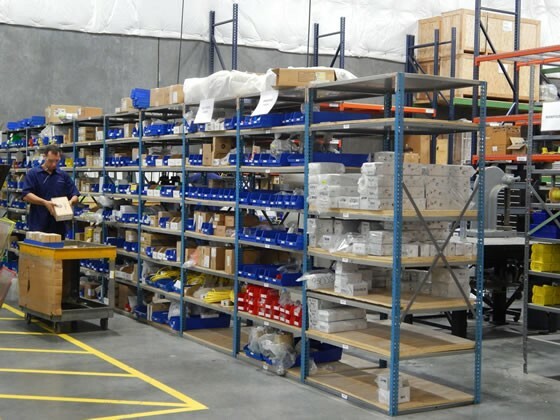 We maintain a comprehensive inventory of parts meeting exacting OEM specifications at our warehouse located just minutes from Kansas City International Airport in order to ensure fast and reliable availability of spare and wearing parts to all our customers. In addition, our factory-trained staff of field service technicians and application engineers are available 24/7 — 365 days per year — for emergency parts needs and shipments on rare occasions when things really go wrong. We continually monitor and evaluate our customers usage of our parts to help identify problems and areas for improvement. Part of this process also identifies areas for efficiencies of scale which results in us being able to extend lower prices to our customers. To speak with a SupportPro parts specialist (before or after hours), dial 913.888.3333, option 2. For non-emergency inquiries or to place a standard parts order, you may also reach our parts department via email parts@marlen.com.